How does the promotion bar work? 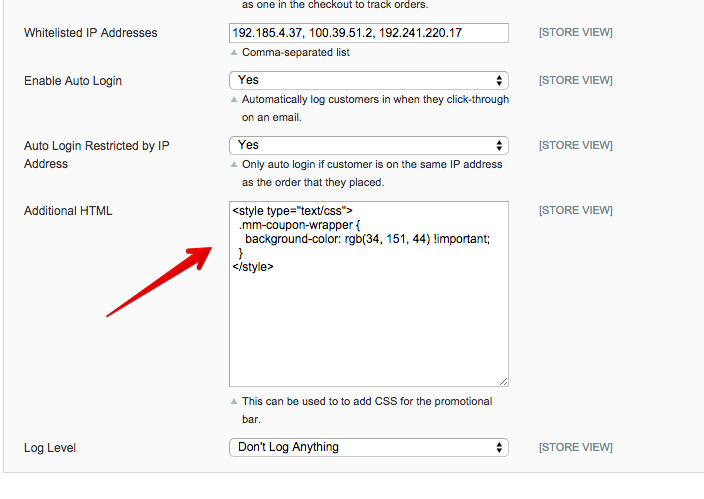 The promotion bar is displayed when a customer clicks through from an email that has a coupon associated to it. It makes it obvious to the customer that the coupon is unlocked and helps to keep it top of mind for them until they complete their purchase. If the coupon has an expiration period associated to it, then a countdown timer will also be displayed alongside the message in the promotion bar. How can you disable the promotion bar?